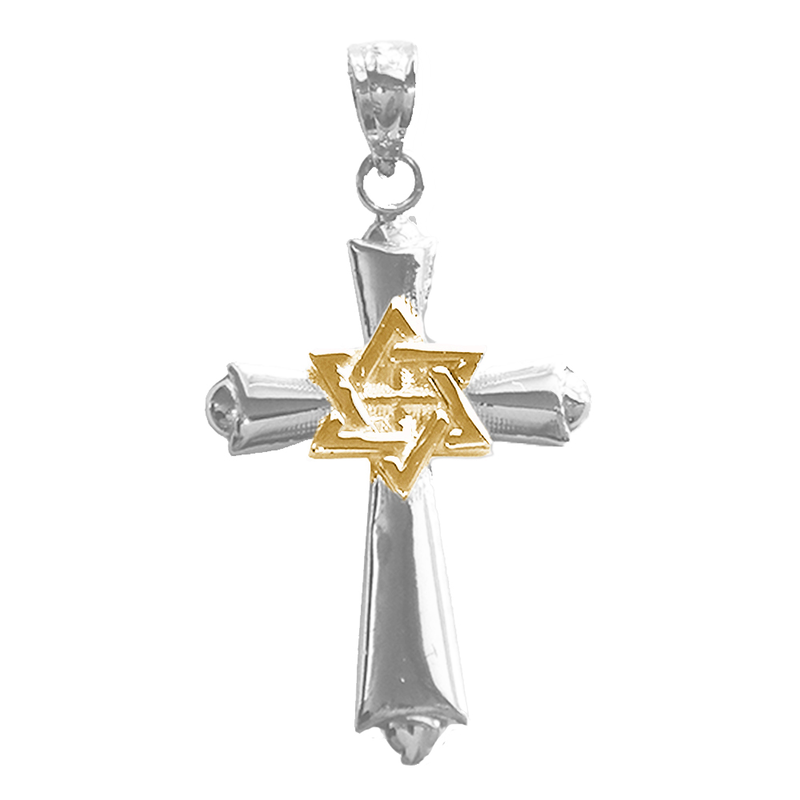 This is an elegant 14K gold cross with star of david pendant. This 14K gold pendant measures 29 mm in length by 16 mm in width. Measurement includes bale. JewelsObsession creates all gold jewelry in our state of the art manufacturing facility. Color & Karats: Choose your color gold color. 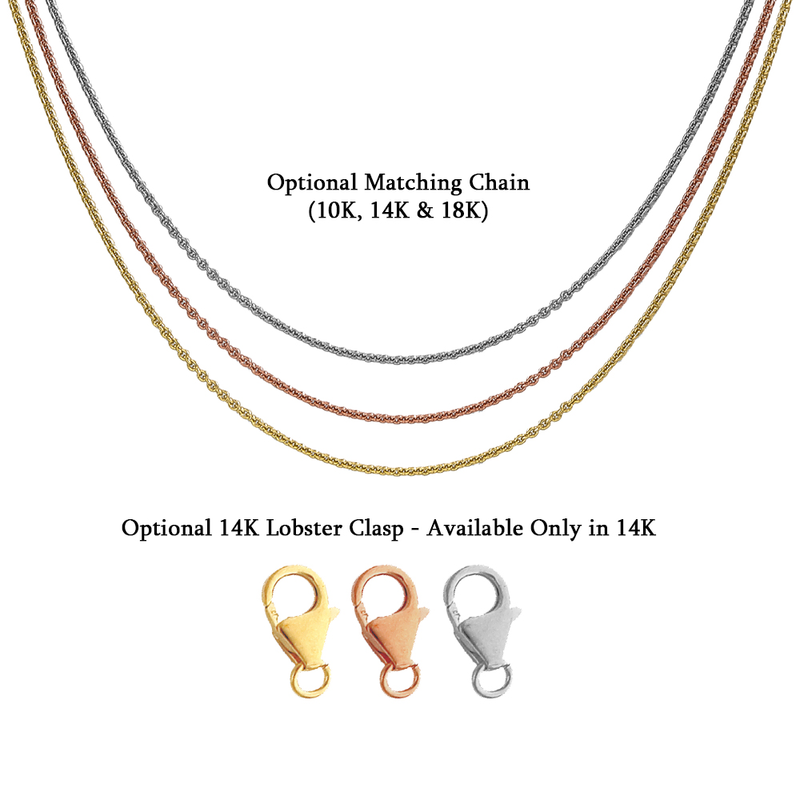 Options include all 14K yellow gold, all 14K white gold, all 14K rose gold, 14K yellow & white gold, 14K yellow & rose gold, 14K white & yellow gold, 14K white & rose gold, 14K rose & yellow gold and 14K rose & white gold. First color is the color of the Cross followed by the color of the Star of David. 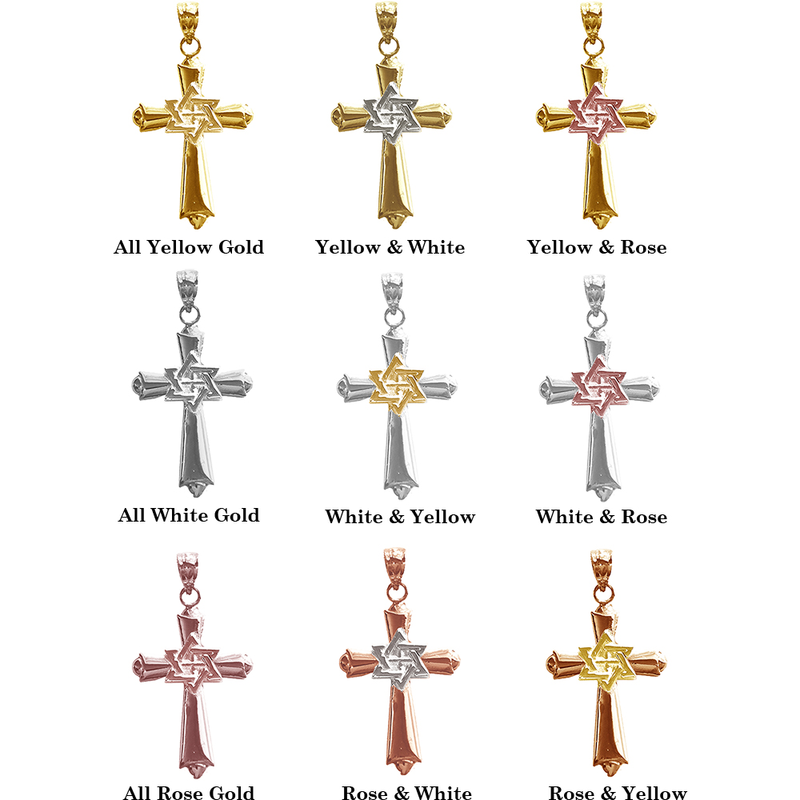 Example, white & yellow gold option will come with a white gold Cross and yellow gold Star of David. Not all options are available, see drop down for available options.